Cliché or not, life can truly change in the blink of an eye. Three years ago Caitlin Cohen was a Developmental Studies major at Brown University, working on a sociological AIDS research assignment in Mali, Africa. Today, she is better known as the co-founder and executive director of an international NGO, on hiatus from her studies, and living with a host family in a Malian slum. 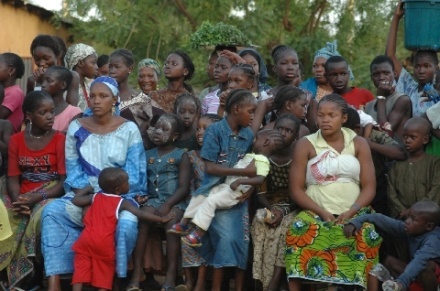 Compared to what the people of Mali face, though, the changes in her life are minimal at most. There, in the semi-urban desert, ‘change’ is often synonymous with crippling illness or sudden, unexpected death, in many cases, from otherwise highly survivable situations and illnesses. At least in the western hemisphere, that is. In Mali, unnecessary, preventable ,and likewise, unimaginable, deaths are attributed to things like diarrhea, or even as one story Cohen was told by a brokenhearted mother, motorcycle accidents that occur on dirt hillsides where taxis – and likewise, transportation to health clinics – refuse to tread. Even when someone's life is at stake just up the path. In Mali, women have been known to give birth anywhere and everywhere, including, in one case that Cohen witnessed, on the side of the road. It should come as no surprise to hear that many of these women and children die in the process. For explanation, look no further than the clinic serving Sikoro, the slum where Cohen currently resides. The two bedroom facility, limited in resources, staff, and most obviously, room, receives 40,000 patients a year. In simple math, that’s 109 patients a day, 7 days a week. Couple this with its location logistics: situated on one end of town rather than in the center, for some residents in town the clinic is a 3k walk. For someone weak from illness or too poor to afford transportation there, it might as well be on the other side of the world. Yet despite all of these factors, what most struck Cohen upon her initial visit was the resilience, hospitality, and energy of the Malian people, as well as their generosity – evident in even the sharing of wealth amongst one another. 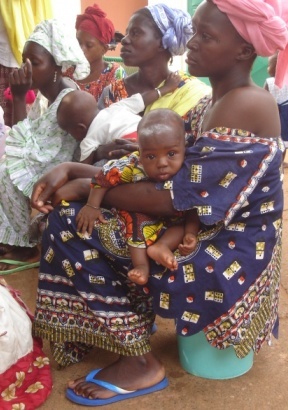 Obviously the high mortality rate, particularly amongst children, is staggering – yet Malians remain a supportive community and somehow help one another carry on. She was bothered by the fact that wells and schools, built at often outrageous prices, are riddled with problems within a matter of years. Schools have few credited teachers and no resources to recruit new ones, or even supplies to keep up with demand, and the wells are either dried up or polluted, and yet the group which originated one or the other are long gone. Likewise, even amongst a hospitable and generous people, distrust for NGOs is commonplace. In Mali, nonprofits are seen as wealthy entities and many people focus on just trying to get as much financial assistance as they can from the fly-by-night foundations that are gone no sooner than they came. For Cohen’s work, this has obviously posed a challenge. 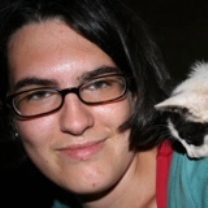 But unlike most other NGO directors, Cohen has literally moved her life to Mali, living with a host family, learning the native dialect, and befriending all she meets. She works fervently both to maneuver through the bureaucracy and red tape involved both locally and internationally to get her project to the point where she’d like it to ultimately be – and to convince the people that her nonprofit is, in fact, different than the others who had come and gone. 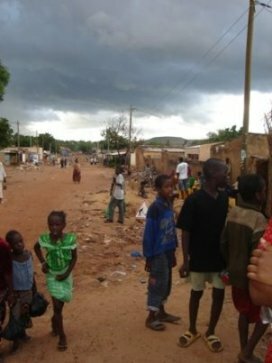 Cohen’s nonprofit, the Mali Health Organizing Project (MHOP), works to enable slum neighborhoods to create their own long-term sustainable health care by creating relationships between residents and governmental officials that had, in the past, been futile and frustrating. 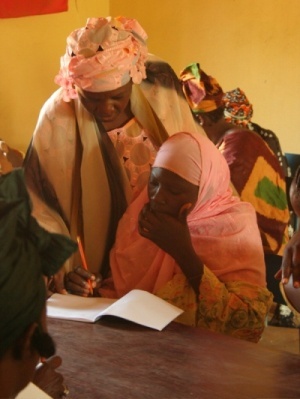 Mme Aisata Touré leads the training of 40 women in literacy, math, and basic marketable skills. MHOP facilitates processes which had long been a source of resentment for the village who only four years ago had attempted to work with local governments to build a secondary clinic. The community had pooled resources and purchased a parcel of land, and had formed a committee to strategize logistics like the financing of personnel. Their request to the municipality was simply, and justly, that a clinic be built to meet their needs. In response they were told that they needed to provide tax monies, and again, residents pooled to come up with as much as they could. Instead, their funds disappeared into the common trend of corruption, and residents walked away with empty pockets and broken hearts. Today, through MHOP, residents are being empowered to demand their basic rights to civil services, to manage funding so as to not fall prey to corruption again, and to get results in an otherwise impossible maze of loopholes and crooked bureaucracy. MHOP does not believe the solution to the problems Mali faces lies in sporadic financial handouts or unreliable quasi-solutions. Instead, MHOP believes that the best way to produce long-term results is for it, together with the community, to hold government accountable for healthcare availability, and to build a brighter future without outside assistance. 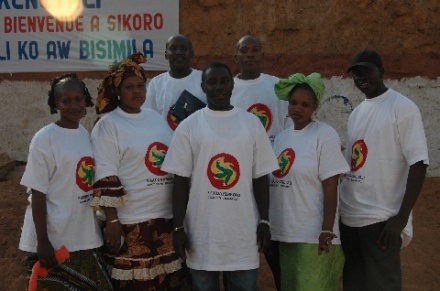 Sigida Keneyali, a project of MHOP, means ‘Health in Our Homes’ in Bambara, the language most commonly spoken in Mali. Bringing together American student volunteers and Sikoro residents, through Sigida Keneyali the community is trained in advocating for itself, using Community Health Action Committees (most commonly called 'CHAG') to evaluate, plan, and implement their own health and social projects. A key focus for MHOP is also the fight against malaria, a disease which is emotionally crippling the population. Based on a MHOP study conducted of 1400 people, two thirds of those deaths were caused by Malaria. Even more staggering, only ONE of those deceased was not a woman or child. In response, CHAG works to provide mosquito nets for all pregnant women and young children in the community, and are simultaneously conducting educational counseling in each home about the use of the nets, treatment for Malaria, and overall home cleanliness. Environmental stewardship has also come to the frontlines through CHAG, as the community organizes cleanup days, installs public trash cans, and works to develop a much-needed trash disposal system. For those living in the west, these things may seem commonplace. For those in Mali, they are long awaited and exorbitantly beneficial. The Community Health Action Group organized a malaria peer education festival. MHOP, working with its CHAG, has created a community center, implemented women’s health courses and occupational training, educated the community on Malaria, and HIV/AIDS, and is implementing a sustainable microfinance program, as well as emergency loan programs so that those in dire need of monies for healthcare do not die waiting for help to arrive. Less than two years after its inception, MHOP has already touched the lives of over 8000 people through its health outreach, as well as through its programs in civil society, microfinance, literacy and education. It expects that come summer, 60,000 will be reached. As for Caitlin Cohen, one day she will return to Brown to finish her degree and ultimately attend medical school. For now, she is dealing with more pressing matters – the well-being of over 65,000 Malians who have come to see her as a hero. Mali Healh.org - aims is to allow slums to create their own health care solutions, and ultimately see both the government and the slum invest in health and development without outside assistance. The Br!ck Awards honors youth making a difference in the world. - Caitlin Cohen is currently a finalist for the 2008 award. Global Giving: A community-run clinic in Sikoro for 28000 people - Global Giving connects you to over 450 pre-screened grassroots charity projects around the world. It's an efficient, transparent way to make an impact with your giving. MY HERO: Tommy Hamaluba, - a teacher at Gaborone Senior Secondary School, located in the city centre of Botswana, Africa, is working to help eradicate malaria. Caitlin Cohen is a 2008 BR!CK Award Finalist. The BR!CK Awards is the first televised award show about changing the world. It celebrates young people making our world better. BR!CK Award winners aren't just the leaders of tomorrow. They are the leaders of today.